Identity is a term that is not often talked about. Even experienced architects skip this term and jump right away to the terms mission, vision and goals. But knowing if your mission or goals are right also depends on your identity. Modeling Enterprise Strategy, in fact, start with exploring and defining the enterprises' identity. 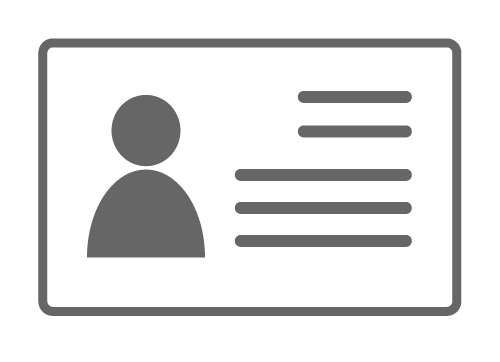 So what is Identity, what does identity mean and why is it not widely used as part of modeling enterprise strategy? Read the Dragon1 Term Definition here. What you as a person, a thing or an organization are. Not what you want, do or can do. Your identity is not your mission or your vision. Example identities for organizations are: restaurant, snack bar, hospital, bank, online company, an insurance company. Your identity as an organization can be used to derive a total concept from and a lot of other things. The total concept for a bank can be for instance: the number 1 digital or online bank. This total concept for your identity guides you in fitting or realistic missions. Identity as term is part of enterprise strategy modeling. Dragon1 places identity in relation to a company’s mission, goals, culture, vision and core values. See the diagram below its position. 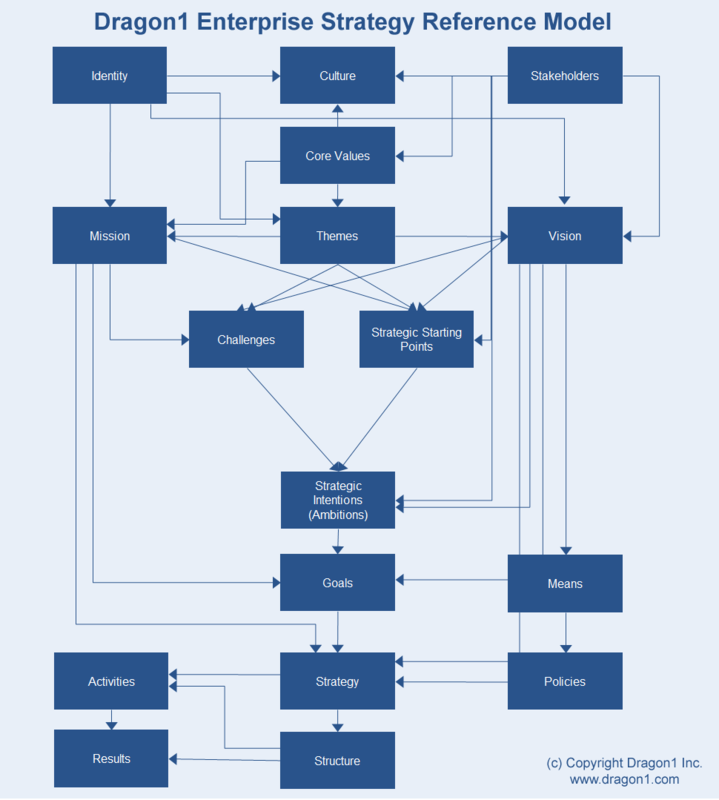 How does an Enterprise Strategy Reference Model look like? Are you interessted in modeling the strategy? Sign up today for a Trial Account.